What are some of the richest dinosaur bone areas in the world? Some of the richest dinosaur bone graveyards are found in three diverse regions of the world: the Patagonia region of Argentina, the Gobi Desert in China, and the western United States. Most recently, scientists have found one of the largest plant-eating dinosaurs, the Argentinosaurus, and the largest carnivore, the Gigantosaurus carolinii, in the Patagonia region of Argentina, which has one of the richest and longest-term fossil records in the Southern Hemisphere. No doubt more dinosaur bones will be discovered in these three unique places in the future. 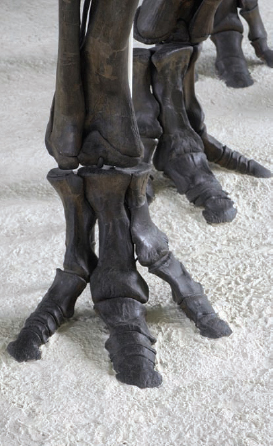 Most dinosaurs walked on their toes rather than on the soles of their feet, which allowed them to move with greater speed (iStock).